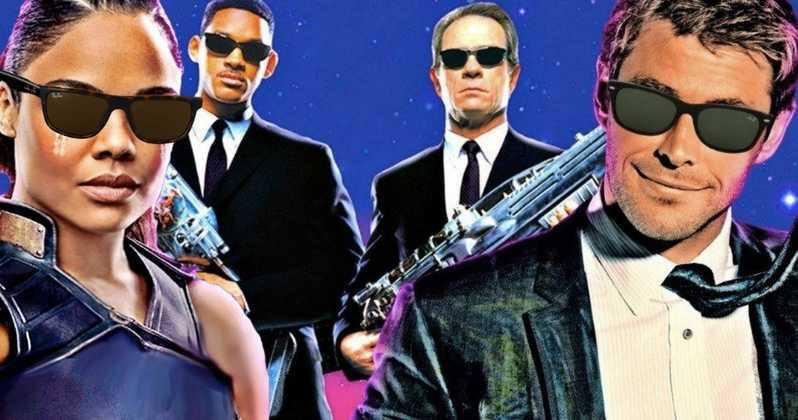 No one really asked for a Men in Black spinoff but you can be certain we're getting one. With no details released on the film as of yet other than casting and the beginning of production, Chris Hemsworth just posted a photo of himself and Tessa Thompson from the set of the upcoming fourth entry in the long running series. Will Smith and Tommy Lee Jones will not be appearing in this latest installment, but other characters look like they might be making appearances or have cameos. Thomspon and Hemsworth were last seen together in Thor: Ragnarok. The photo reveals nothing about the movie but shows the two wearing the classic MIB look.